Call: 518.937.0688 Open 7 Days! Miracles On Lice will take the time to do it right, the FIRST time. Our lice treatment and lice removal procedure ensures you will leave lice and nit free. A Certified Treatment Letter will be provided because we stand by every strand. The initial head check consists of a very thorough head lice examination of the entire scalp. The hair is systematically inspected and combed to determine if evidence of head lice is present. If head lice are found, visual evidence will be shown and treatment options reviewed. *If lice treatment is selected, the remaining family members can be checked for Free! All products used in our lice removal treatments are non-toxic and safe. Our procedure has been developed after years of experience and successful lice removal treatments. Do not settle for less! Using our specially designed Combing Solution, we comb through the entire scalp removing most of the lice bugs and nits. Dry shampoo process is used to remove the smallest nits. Hair is washed with our Mint Repel Shampoo and Conditioner. Blow dry entire scalp, nice and clean. Section hair to begin examination. Using extremely powerful lighting, we slowly inspect each strand of hair until the entire scalp is examined. This procedure ensures our success. Quality control check – Second Lice Angel rechecks scalp. Select a special Braid from the Menu. Leave feeling like you went to a spa! *Treatment time will vary depending on the severity of infestation and the type of hair. Certified Treatment Letter for School Nurse. We stand behind our work. Nit Free Miracle Lice Comb. Follow Up visit 3-7 days after Lice Treatment. House Cleaning instructions and even clean car before you leave. Combing techniques to keep them away Forever! Comprehensive Education on Lice. Knowledge is Power when fighting lice. We know that this is a stressful time, we are here to help and will answer all your questions. To provide you with the best quality of service possible, we recommend the following pre-visit preparation guide. Note: Our Miracles on Lice Treatment Center is in a residential home, so please park in the driveway and ring front door bell to enter. 1. Please have hair washed, completely dried and tangle free upon arrival. 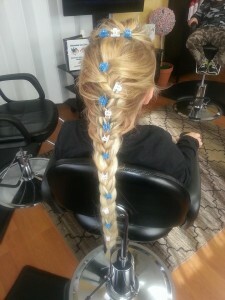 Do not apply products such as gels or hairspray as this makes the Lice Angel’s job more difficult and time consuming. 2. Clients should wear a button down or zip up shirt for easy removal off the shoulders after treatment. Bring any type of clean shirt and jacket to change into once treatment is completed. 3. While we will make every attempt to make your child as comfortable as possible, he/she will be sitting for an extended period of time (2 to 3.5 hours). We strongly encourage you to have their favorite book, iPod, iPad, or DVD handy. Our treatment center has individual DVD players, WIFI and television available as well. 4. Please feel free to bring food, snacks, or drinks for your visit. 5. We strongly encourage all household family members to be available for head checks. The family head check will ensure that all cases are identified and the potential contacts for re-infestation are minimized.